Southend's answer to Scorcese's CASINO!!! 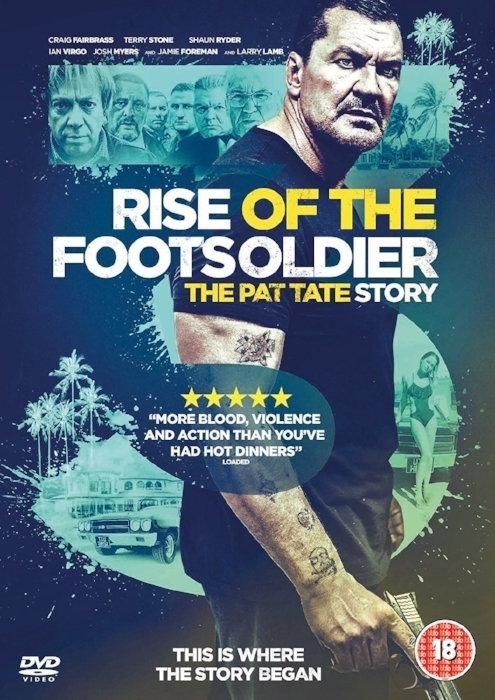 Set before the events of the likes of Essex Boys and Rise of the Footsoldier, this film centres on career criminal Pat Tate, his misadventures in Marbella and Southend. I'm not sure what I expected to witness when I sat down to watch this. I have merely dipped a small toe into the large pond that is the Essex Gangster genre (the only other one I've watched was London Heist). Whatever my preconceptions were, they weren't half as violent nor as entertaining as this. When we first meet Pat and his mate Ken, over in Spain to buy some pills, the feel of the film is like a comic strip from Viz Comic. It doesn't help that Ken looks like a character from Sid the Sexist. The first fight scene however, is pretty incredible: three thugs try to rip off Pat and Ken at their hotel and get a serious hammering for their trouble. It turns out to be a great intro for the pair of violent Essex thugs. The film is crazy. Violently crazy. I'm a veteran of violent, crazy movies, and I was impressed at the levels it maintained throughout. What the hell have I just watched? For better or worse, I've just sat through the UK's answer to Martin Scorcese's Casino. Viewer's mileage is going to depend on how much of Craig Fairbrass's narration you can take. Personally I enjoyed the running commentary but others might find it grating. Production values are very good, with a real sense of time and place through the clothes, cars and music (lucky Shawn Ryder was on hand to allow access to a couple of Happy Mondays tracks).